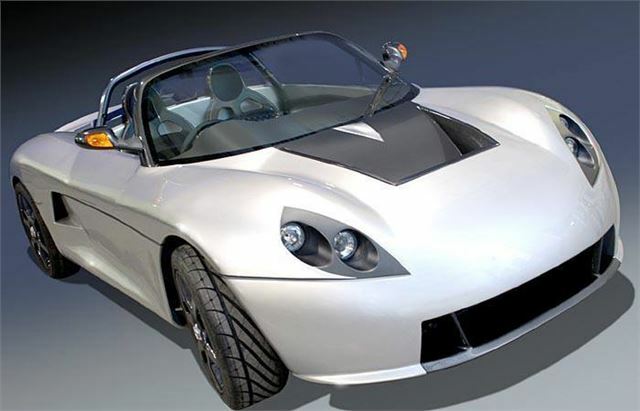 A new British-built sportscar, which combined a stylish, ultra-lightweight two-seater body with exceptional chassis dynamics and awesome performance is unveiled at the 2008 Autosport International Show at the NEC in Birmingham. MM Industries, which now owns the former Strathcarron sportscar business, is presenting its production Avocet two-seater during the show’s two trade days, prior to a public launch later in the year. The Avocet is displayed by Surface Transforms (Stand E304) - whose latest technology carbon ceramic brake system is fitted to the car. The system, which will be available as an extra cost option, reduces overall weight by 2.5 kilograms per corner, with a resultant improvement in handling and braking performance. The car will be built in South Essex by the specialist automotive engineering and motorsport team which recently acquired the business of Roush Technologies in the UK. The vehicle will use selected Ford standard and performance parts, which will give the car a mature component inventory which is fully tested and proven in the market. MMI has placed an order for a limited initial production run of the car, which now features a significantly restyled doorless moulded bodyshell and incorporates some of the latest lightweight composite materials. The standard car features a steeply inclined windscreen, although a very attractive low-line wrap-around aero-screened ‘Spyder’ version is also planned. The standard powertrain incorporates a Ford 2-litre Duratec engine, recalibrated by Roush to suit the installation – and develop 150bhp. An uprated 225bhp version, developed by Roush’s Mountune performance division, will be available as a special order option. An all-up weight of around 700 kilograms will, in power to weight terms, position the Avocet alongside the quickest – and, with a 0-60 time under 5 seconds, is expected to make the car extremely competitive. Current plans include building around 50 cars in the first year – with both left and right-hand drive versions available. The car will be sold as a fully equipped, fully homologated road-going sportscar. MMI is keen to differentiate the Avocet from the cluster of kit and track-day cars which have visited the market over recent years. A high degree of ‘customisation’ is to be offered – and extras for the car include a removable roof and exclusive detachable, fashion-styled travel luggage, which will clip into special cradles behind the cockpit. “The original ambition to develop and produce a small, lightweight British sportscar at an affordable price, has not changed. The Avocet is an attractive looking car which uses core Ford componentry – all widely available off the shelf. As a result, the car possesses mature product handling, excellent driveability – and awesome performance. We believe that the Avocet will satisfy the gap in the market which has remained unoccupied for far too long – for an affordable performance sportscar with proven volume market reliability”, says MMI Founder and Managing Director, Martin Miles. “The new production Avocet retains the original Reynard designed chassis, subsequently further developed by Ray Mallock and Chapman – and it has exceptional structural rigidity. The redesigned one-piece body utilises composite materials to provide remarkable strength combined with low weight. Add to that Roush’s experience of powertrain engineering, packaging and production – and we can be totally confident that this new car will fit the defined niche in the market for which our research has demonstrated that there is a significant demand”, says Miles.